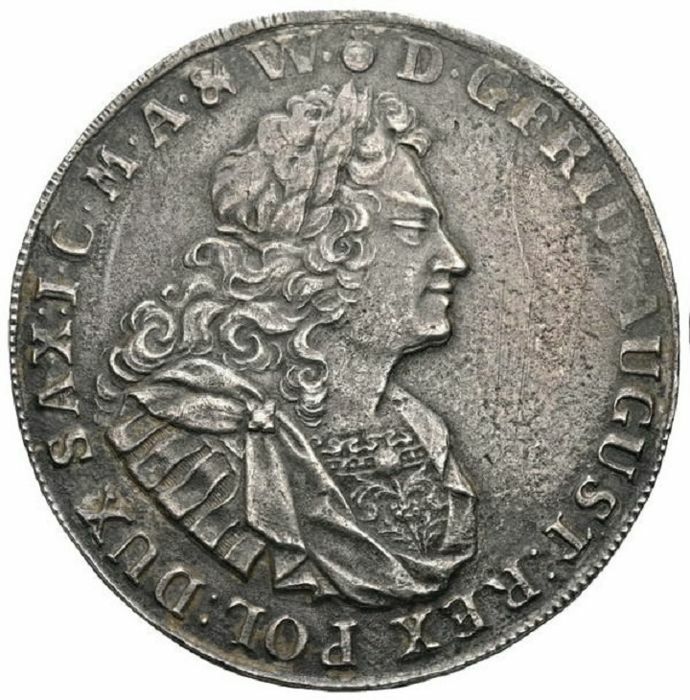 Bust of the king to the right, in the laurel wreath. 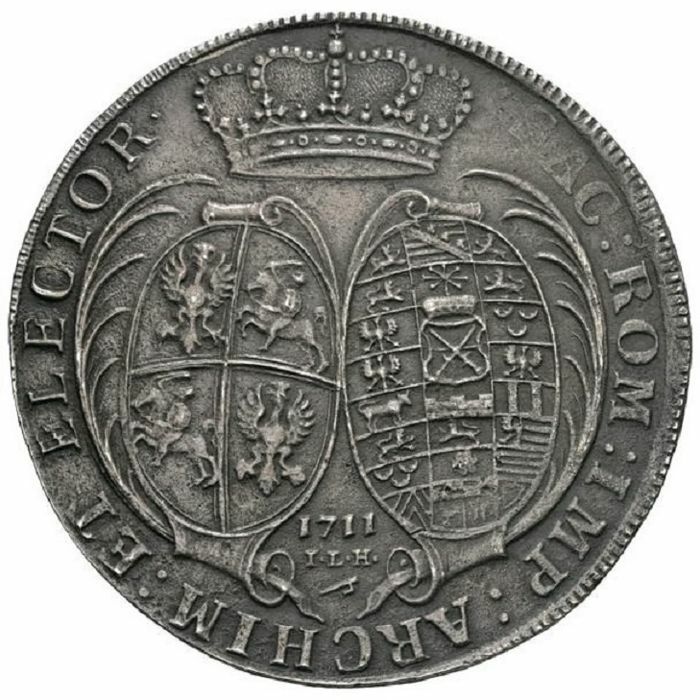 Very Rare type of the thaler from generation 1711 from the mint in the Dresden. Chance for the purchase of the coin very much rarely turning up at the trade. 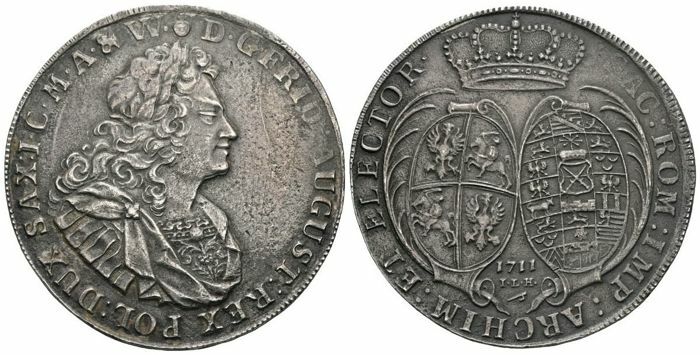 Augustus II the Strong (12 May 1670 – 1 February 1733) of the Albertine line of the House of Wettin was Elector of Saxony (as Frederick Augustus I), Imperial Vicar and elected King of Poland and Grand Duke of Lithuania.